Griffin-American Healthcare REIT paid $22.09 million, or $259 PSF, for this two-story, multi-tenant facility in Rockwall, Texas, a Dallas suburb. The building has about 85,000 square feet of space. 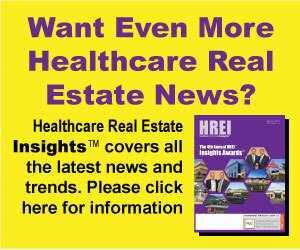 It’s pretty obvious that Newport Beach, Calif.-based Griffin-American Healthcare REIT II Inc. has been finding plenty of what it’s been looking for in the healthcare real estate market so far in 2012. In fact, as of recent weeks, the real estate investment trust’s (REIT’s) year-to-date 2012 activity has increased the size of its portfolio by 87 percent based on purchase price, from $438.6 million at the end of 2011 to $822 million. In the first quarter, the REIT acquired 16 buildings – for a total of $232.8 million.